2012 sees Nu-Heat celebrating twenty years in business! 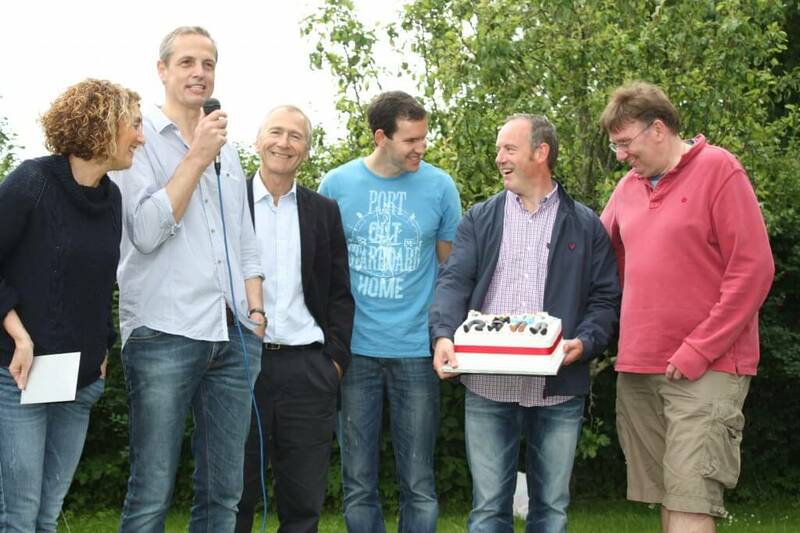 To celebrate this milestone the Nu-Heat Directors, Adrian & Alison Troop, Andrew Grimsley and Ian Jeacock, held a summer fun day for all employees and their families. The day was a great success, with only one rain shower, and children enjoyed the bouncy castle, giant garden games and a craft tent where masks and puppets could be made whilst the adults were entertained by two very talented singers, both employees. A raffle was held to raise money for Rainbow Trust Children’s Charity, a very special organisation that supports families who have a child with a terminal or life threatening illness, and included a prize of an extra day of holiday for one lucky member of staff! The Directors would like to thank all those who contributed to raising a fabulous £378. 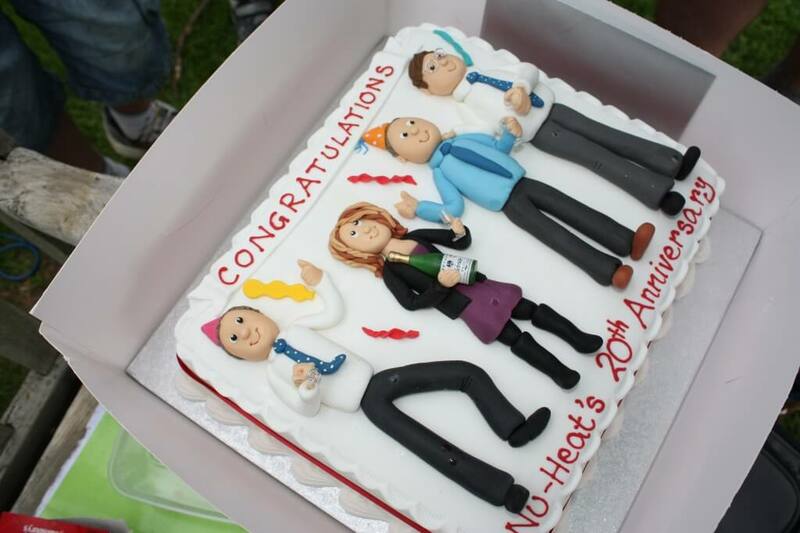 To the Directors’ surprise a truly entertaining cake was presented to the board to congratulate them all on the success of Nu-Heat over the last twenty years. Here’s to the next twenty!